Keep your tires looking new, longer! 303 Tire Balm & Protectant is a hand applied tire shine product that allows you to choose your desired level of shine! Looking for a sleek, satin shine? Apply just one coat of 303 Tire Balm & Protectant. Looking for eye-catching shine? Apply additional coats! 303 Tire Balm & Protectant, however, does more than just create a desirable finish – it will also protect against UV rays and dry rot For tires that look newer, longer, pick up a bottle of 303 Tire Balm & Protectant today! 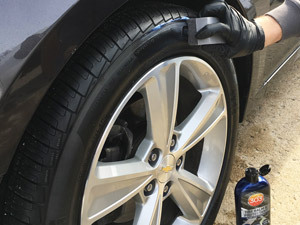 Aside from your standard car wash product, a tire dressing or gel is one of the most popular detailing products on the market today – and for good reason! Who wants to see car with perfect, shining paint, crystal clear glass, and gleaming chrome, only to see that their tires are cracked, dull, and fading? Well with 303 Tire Balm & Protectant, you won’t have to worry about that! 303 Tire Balm & Protectant is easy to apply and allows you to select your desired level of shine! For a stain matte look, just one layer of 303 Tire Balm & Protectant is necessary. For an ultra-shine, apply multiple layers! Designed to be apply whatever finish YOU desire, 303 Tire Balm & Protectant finishes either satin, or shiny, depending on the number of coats applied. In addition to making your tires look new and freshly detailed all the time, 303 Tire Balm & Protectant provides a superior level of UV protection – preventing against dry rot and cracking on the surface. This non-slinging formula is easy to apply! 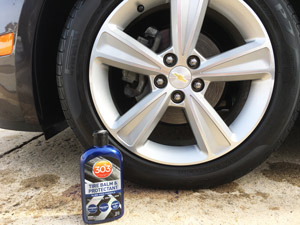 For a long-lasting, adjustable shine, 303 Tire Balm & Protectant is just what your tires need. Shake product well before use. Apply on a CLEAN, COOL, DRY tire. 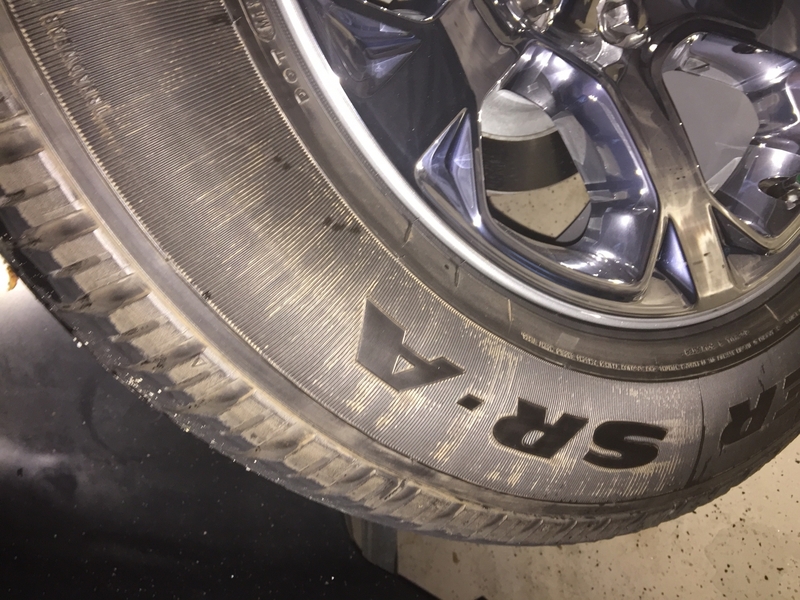 Using an applicator of your choice (we recommend the Speed Master Tire Dressing Applicator for a nice, even layer), spread product evenly across tire and let dry. Apply one coat for a natural finish. For a shinier finish, apply a second or third coat, with a 10 minute waiting period between coats. Wipe of any residue the drips onto rims. If any streaking occurs, re-apply to that specific area. This is my first time using this item. We use to let the car wash put their tire shine on the tires but after several years of doing so it did not prevent the cracking and it got so bad we had to replace the tires. I'm hopeful that this tire protection will help and we can keep are tires longer saving money.. I purchased this product from autogeek for 1/2 off (roughly $5). It is a decent product at that price. Definitely not worth full price in my mind. I've applied this to 2 different cars. It goes on fairly easily and doesn't run as far as I can tell. No noticeable sling either. I applied a generous amount of 303 to each tire. Within 10 minutes all of the product soaked into the tires and they looked the same as before. 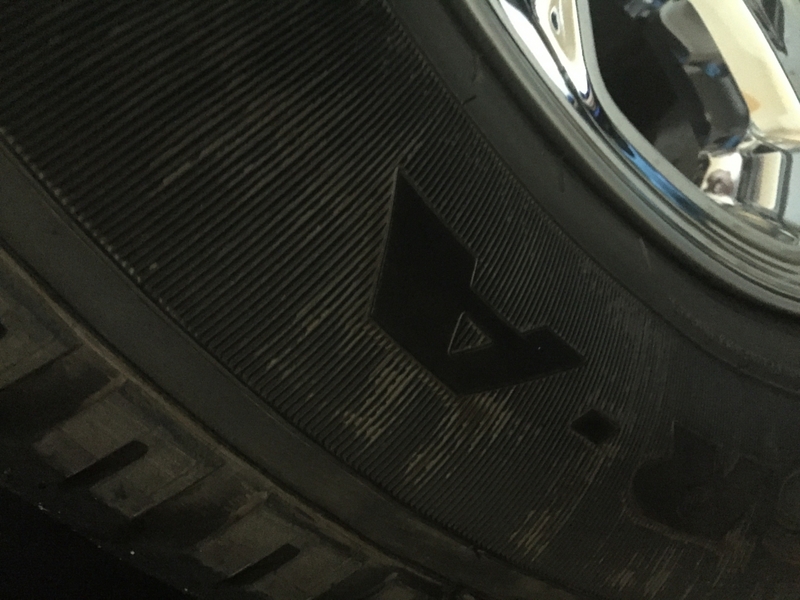 It is nearly impossible to tell which clean tires were treated vs untreated. The product itself has a strange consistency. I'd classify it as mostly liquid, but it has some "gooey" qualities to it. This doesn't impact anything, it's just an observation.